There can never be too many canisters in a kitchen. The versatile storage solution can store and preserve foodstuff, cooking ingredients, snacks, cereal and grains, too. 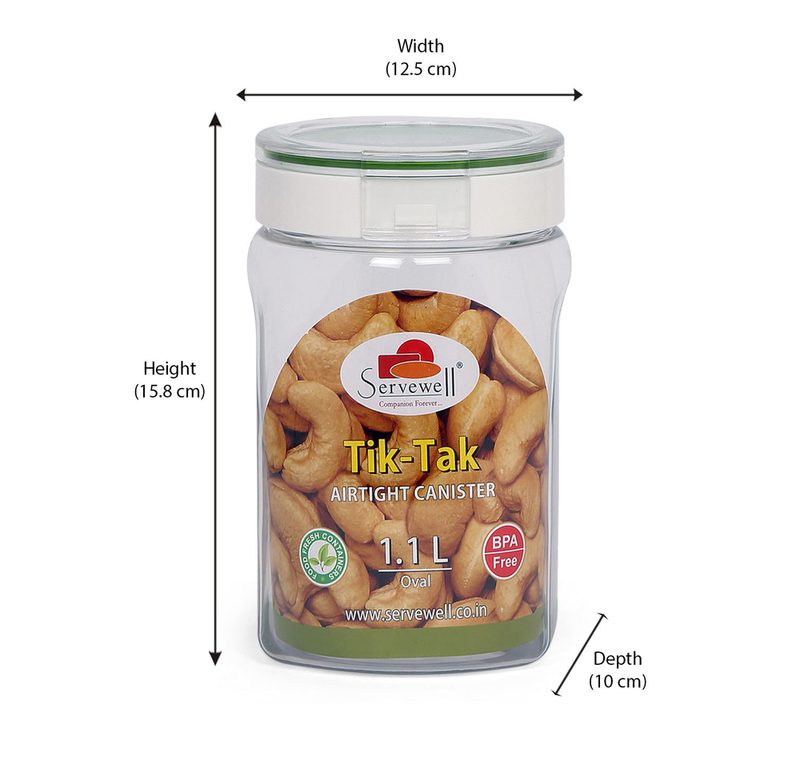 This Tik Tak square canister has a 1 litre capacity and comes with an airtight lid. The high-quality plastic keeps foodstuff safe and fresh for a long time. What more? It comes in the perfect size that can fit into all cabinets, kitchen cupboards, and shelves and inside the fridge, too. Bring a couple of these and rearrange your kitchen. Sorting out the kitchen was never so easy.